Please pull up a comfy chair and join us as we spin, talk of the critters that provide the fiber, the dogs that protect them, and just maybe solve a mystery or two along the way! My two mysteries, Murder Spins a Tale and Murder Comes Unraveled, follow Martha Williamson and her loyal canine companions as they investigate murders in Black Hills, Washington. 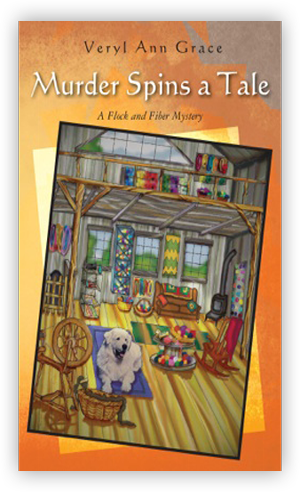 Perfectly mixing my passions of whodunits, dogs, and fiber arts, these cozy mysteries are the perfect way to spend gentle afternoons. Order your copies today and get lost in Martha Williamson's world. Enjoy my cozy murder mysteries! They are available through Amazon and Barnes & Noble! Born in Denver, Colorado, I am currently enjoying my retirement in Hawaii. 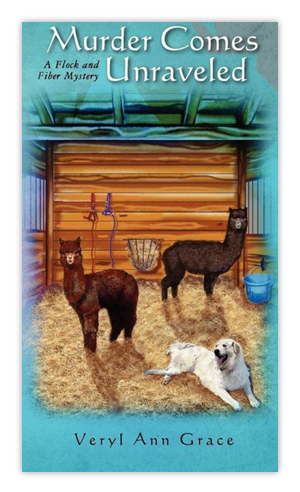 My works have given me a great chance to explore my longtime passion for livestock guardian dogs, fiber arts, and murder mysteries. I have two books out now, ready to be enjoyed, and there are more on the way. Keep your eyes on this page for more information!